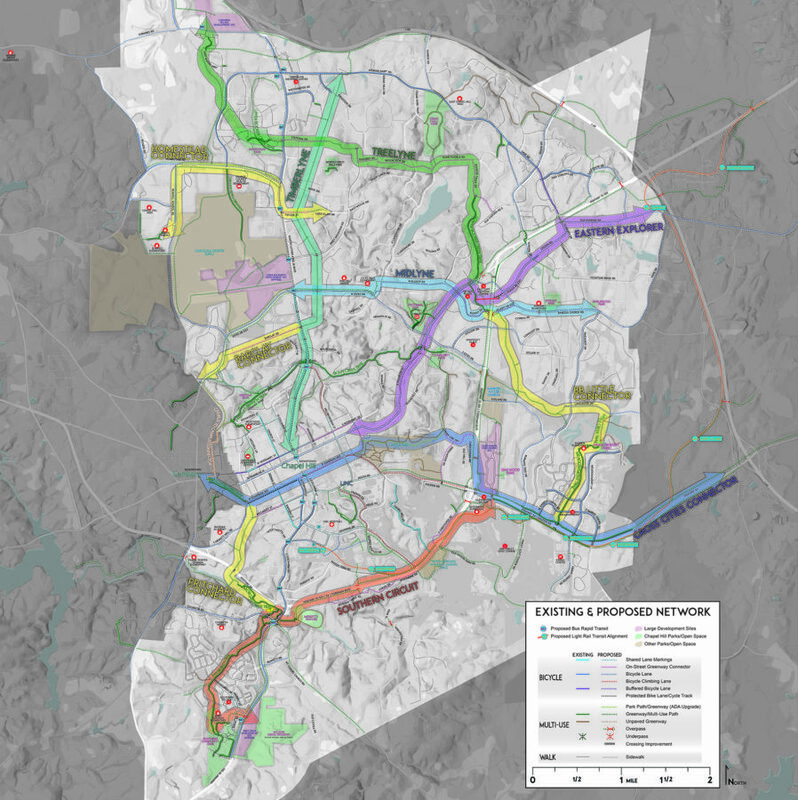 Stewart recently completed a Mobility and Connectivity Plan for the Town of Chapel Hill, including an ADA Transition Plan. Within the plan are key policies and recommendations from the Town’s Greenway Plan and Bicycle Plan and considerations from future transit planning efforts incorporated into a comprehensive approach to promote improved mobility throughout the community. The resulting plan recommends a priority network of low-stress on-street routes and greenways in addition to complete streets recommendations on major corridors. ADA recommendations are given for high volume transit stops and locations in downtown Chapel Hill. Stewart’s approach used extensive public participation and outreach, including both in-person, web-based and social media opportunities for input. The plan also used graphics and illustrations for proposed pedestrian facilities, crosswalks and safety-oriented intersection treatments. All standards meet or exceed the standards set forth in the NCDOT’s Complete Street Guidelines. Stewart also recommended treatments from the National Association of City Transportation Oﬃcials (NACTO) Urban Street Design Guidelines. The full plan was adopted by the Town Council in November 2017. View the completed plan here.